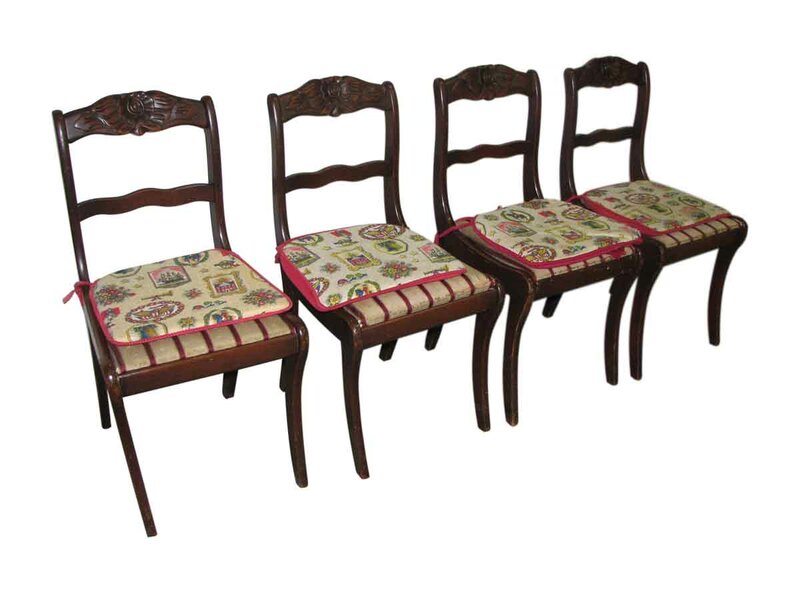 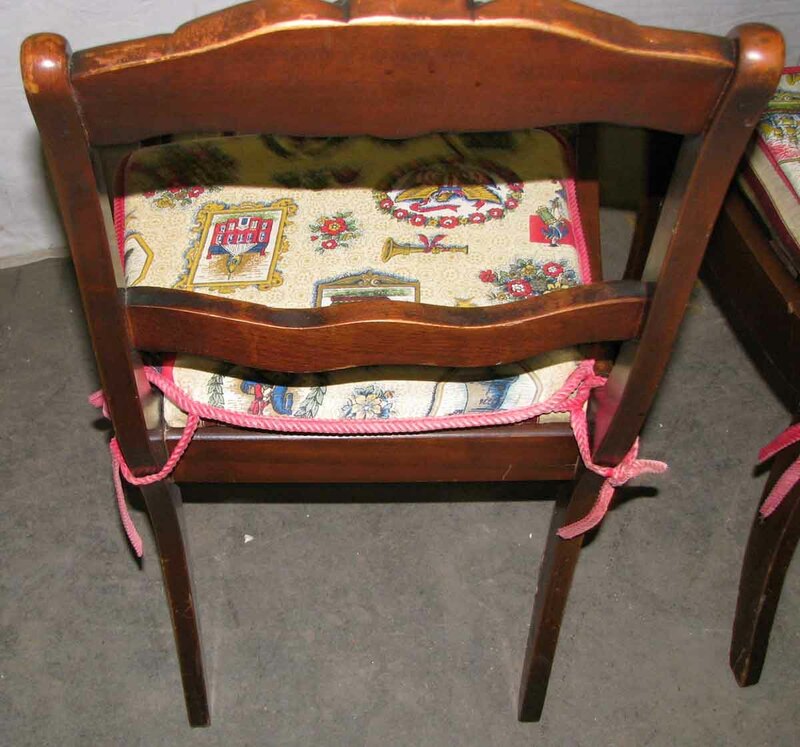 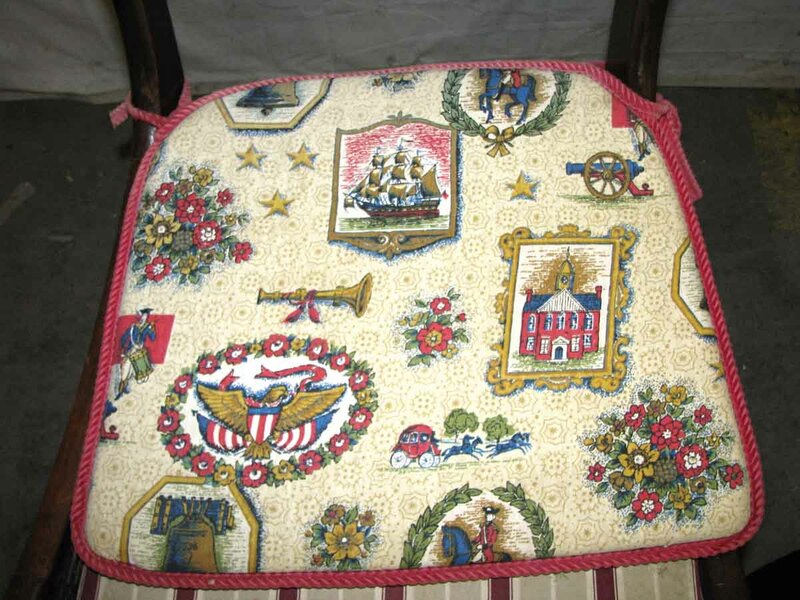 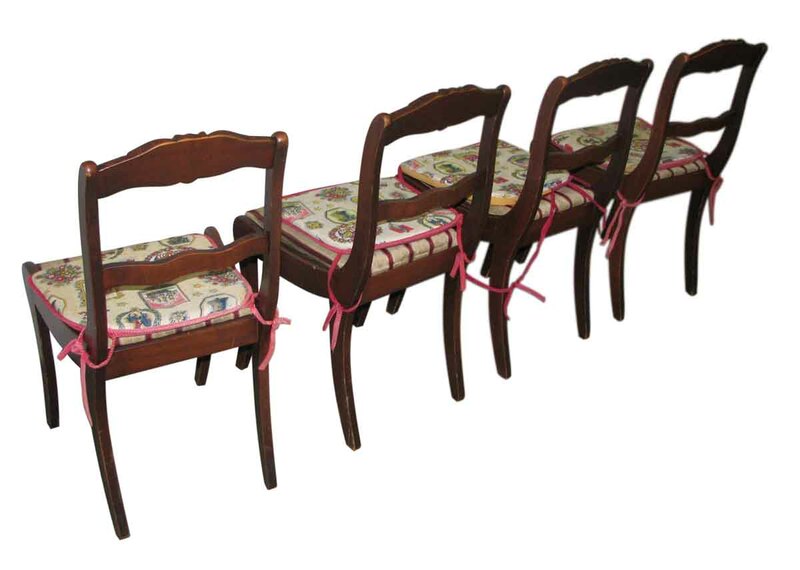 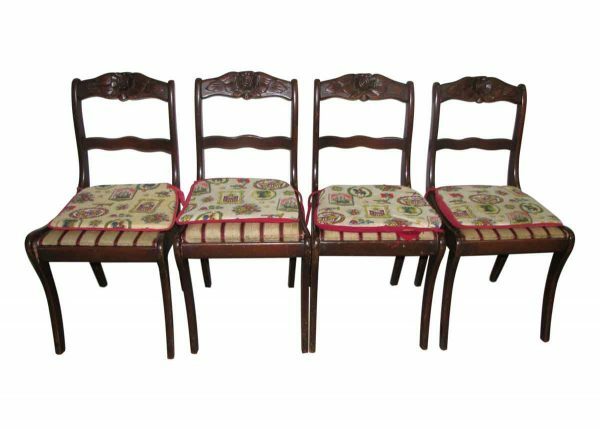 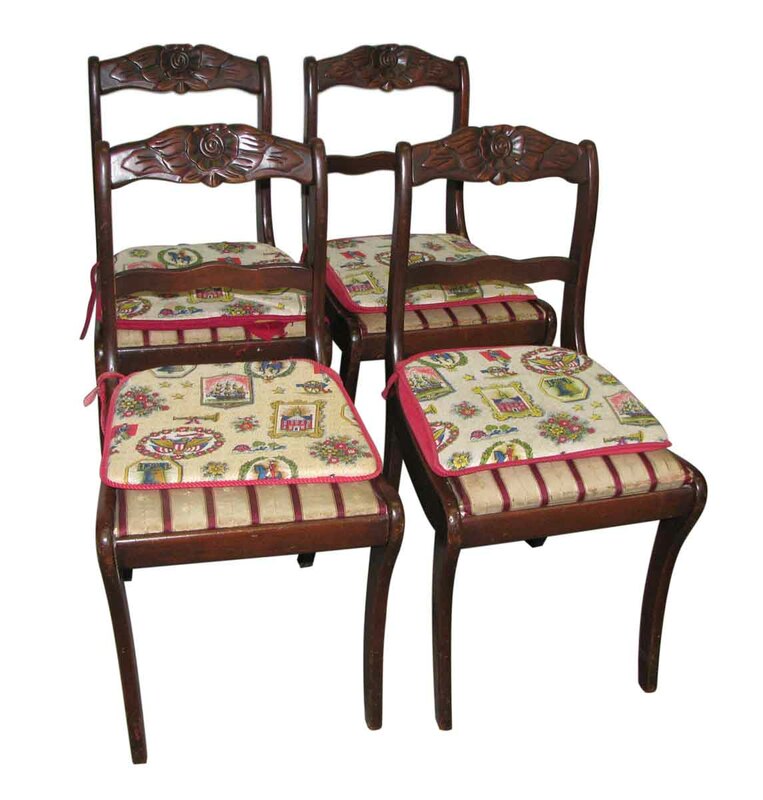 Set of four dining chairs with dark stain. 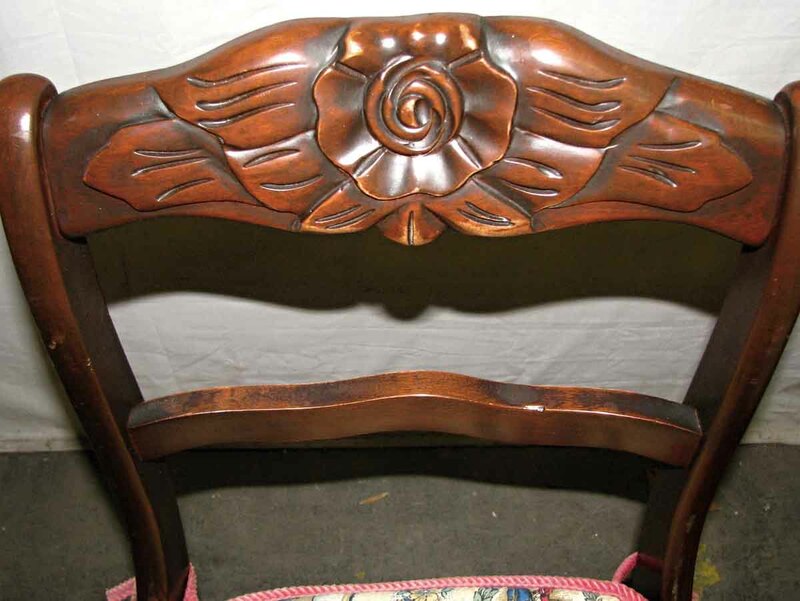 The wood appears to be carved cherry. 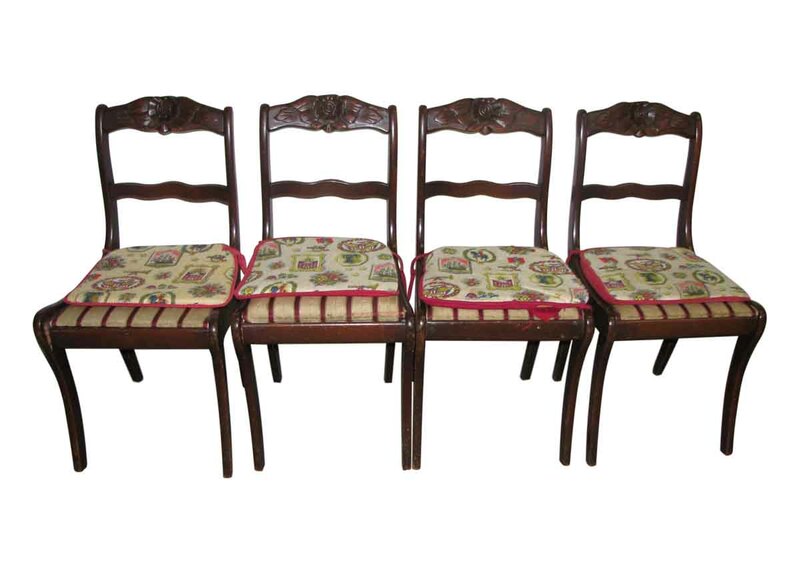 Priced as a set.